uncomfortable | Surviving Breast Cancer Now! Mr Osman does not use stitches in this kind of operation: he used glue. So I had to avoid soaking in a hot bath or taking showers that were long or hot. The cut under my arm was really a bit more uncomfortable that the cut on my breast. I was terribly tired and slept for a large part of the day but I did have plans for the evening of the day after my operation. I could not cancel them without inconveniencing several people. I do not do that lightly. I run a writing group wkwriters you will find their work on their website http://wkwriters.wordpress.com and that evening was the only time the Scottish National Theatre Company was coming to the village. I had tickets for the members oft he group, wkwriters, to attend their performance. I needed to distribute the tickets to the members and I wanted to be there, if at all possible. 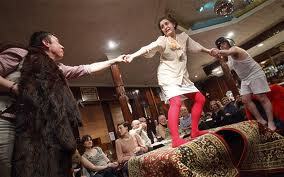 It is very unusual for such a prestigious theatre company to visit a community as small as ours. I feel it is important to support such ventures to encourage them to be repeated. The play, The Strange Undoing of Prudencia Hart, was a sell out and part of the summer term course for my class. We put together reviews. I realise it probably took more energy than was sensible to attend the performance by the Scottish National Theatre Company. The following days were more exhausting than I could ever have imagined. Recovery was uppermost on my mind: but the road to recovery would take far more time than I could ever have imagined.